Startups, Accelerators, Investment Funds...oh my! By James Bance, Startup High Country. We are beyond excited to announce the launch of Velocity Labs. Aimed at supercharging startups in our region, this program will help young companies grow faster by building connections with investors, other founders, and mentors that have had seen success in their own right. But hold up...startup companies? Investors? Founders? This all sounds like something that belongs in downtown Durham with the techies and hipsters - not in Boone. Economically speaking this region has been driven by tourism - and let’s be real - it is not perceived as a hotbed of innovation. However, it is an area where starting a business is not unusual, it’s even a right of passage. But to scale and grow a company beyond the craggy granite boulders of Blowing Rock, or the more gentle slopes west of Boone, is not common. If you look a little closer, there is currently a new wave of startup companies being birthed here and they’re driven by creative, industrious and technically skilled locals that are fueled by laptops, smartphones, gigabit internet and copious amounts of caffeine. Having access to all of these ingredients, along with a newly minted Angel Investment Fund (High Country Impact Fund) and close proximity to Appalachian State University makes Boone an exciting place to start a company. The 5 county area surrounding Boone and it’s groundswell of ambitious entrepreneurs have the potential to make a splash in the economy of WNC and fill a much needed gap in a high-tech corridor that starts in Raleigh, extends to Winston-Salem, passes through Boone and south to Asheville. In order to support a thriving startup ecosystem, entrepreneurs need support in the form of capital, connections and education. 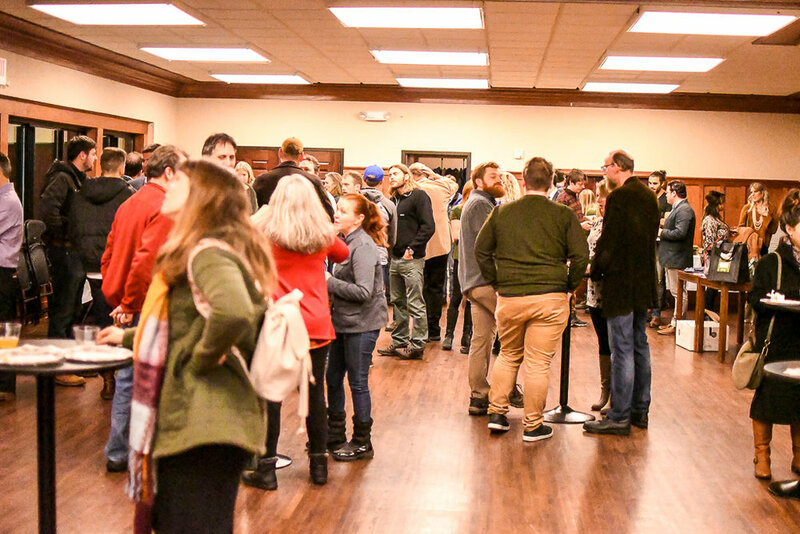 Over the last 4 years, Startup High Country has been a key player in the work to transform the economic trajectory of the area by forming the High Country Impact Fund as well as connecting coders, entrepreneurs, and investors via it’s Silicon Hollar events. The next phase of growth for the ecosystem is the birth of a locally based Startup Accelerator. What the heck is an Accelerator? In our case, it’s a 3-month intensive program that places local startup companies into a peer-based cohort. It’s designed to force founders to critically think about their customers, iterate on products faster, test and learn, make deeper peer connections and really get a grasp of the foundational aspects of operating a high growth company. Another critical element of an accelerator program is to help facilitate opportunities quickly through a mentor driven support network. Experienced mentors help the founders avoid the typical pathways to mistakes and poor decisions that fledgling business owners often take. They can also pave the way for valuable introductions to key hires, investors, or new business opportunities. Key data point - startups that go through an accelerator program, significantly increase their chances of surviving the first few critical years. One accelerator program, GAN Accelerator, shows that 85% of the 9,400 startups that went through their program, are still operating today. Being a founder of a company can be a lonely journey on a very lonely road. The camaraderie built in an accelerator program can’t be replicated in traditional incubators, co-working spaces or business classes. When a founder interacts and builds friendships with other founders that are on a similar journey, magic can happen and the chances of surviving and thriving, go way up. So Boone has an Accelerator now - What’s next? First off, let me explain what Startup High country has created. Velocity Labs, the High Country’s first accelerator program, launched its pioneer cohort on Tuesday, September 11, 2018 and it will finish up in late November 2018. A key piece of the puzzle has always been about teaming the companies up with mentors who have their own battle scars as well as invaluable stories of success, and failure, in their own journeys. Our mentors are experienced, proven and knowledgeable business leaders that have been sought out by the Startup High Country partners for their expertise. These folks have lived through the highs and lows, and have personally experienced the anxiety, exhilaration and stress of starting a company, or have worked in large enterprises and high-growth startups. Our mentors are also well connected, so their personal networks are extremely valuable to the program and participants. For the next 3 years. Recently, Startup High Country was the recipient of a $100,000 grant from the NC IDEA FOUNDATION. Given through the NC IDEA ECOSYSTEM grant program, this investment is huge for our entrepreneurial ecosystem and is a signal of the potential and momentum building in the Boone and Blowing Rock area. SHC will use the grant to further Velocity Labs and promote our mission to create more high-tech (high-paying) jobs and more growth investment opportunities for the residents of the high country. With the support NC IDEA and local partners like Watauga Economic Development Commission and ECRS, Startup High Country has the fuel it needs to make a tangible impact in the economic outlook of the our region. Or, connect with us on Facebook and Instagram. ChurchLEARN, a software company that helps churches recruit, equip and develop volunteers. Hatchet Coffee, a roasting lab, slow bar, and coffee lounge. High Country Food Hub, an online market for local food and artisan goods. It features over 500 products from 50+ small-family farms and food entrepreneurs from Watauga and 9 other surrounding counties. Smart Game Systems, provides scenario-based learning development and a digital coaching platform for people and organizations needing greater risk agility, change of behavior, cultural alignment, improved performance, and innovation in an ever-changing environment. 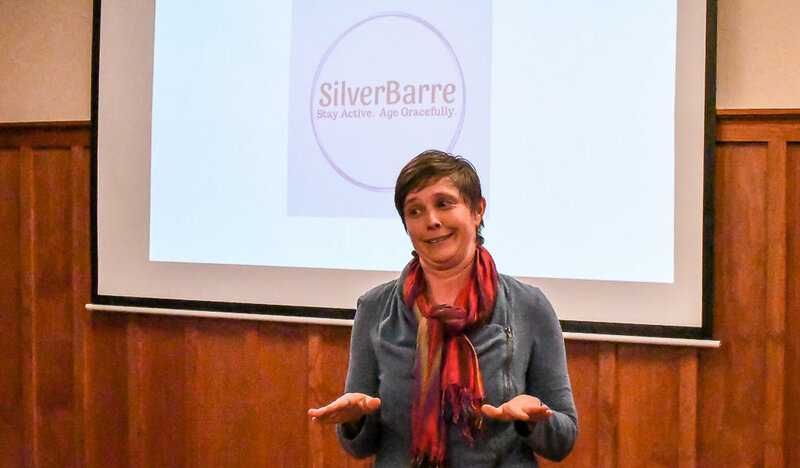 SilverBarre, a fitness training technique that focuses on the training and support of the aging body. Age Graceful. Stay Active. The Insulators, use artificial intelligence to build models and generate accurate quotes for insulation and building world. Thriftsy, the new way to save on your favorite brands while having fun in augmented reality! Velocity Labs would not be possible without our amazing partners: Watauga EDC, NCIF, High Country Impact Fund, and ECRS.